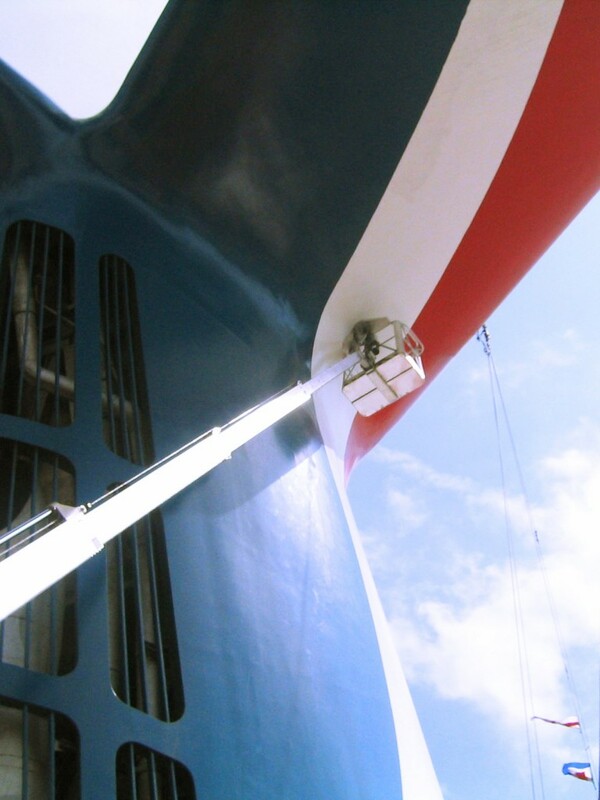 - Diesel or gas generators are available as optional equipment. Small trailer lifts or “tow behinds” have been around for many years in North America as a practical and efficient tool for low level access. 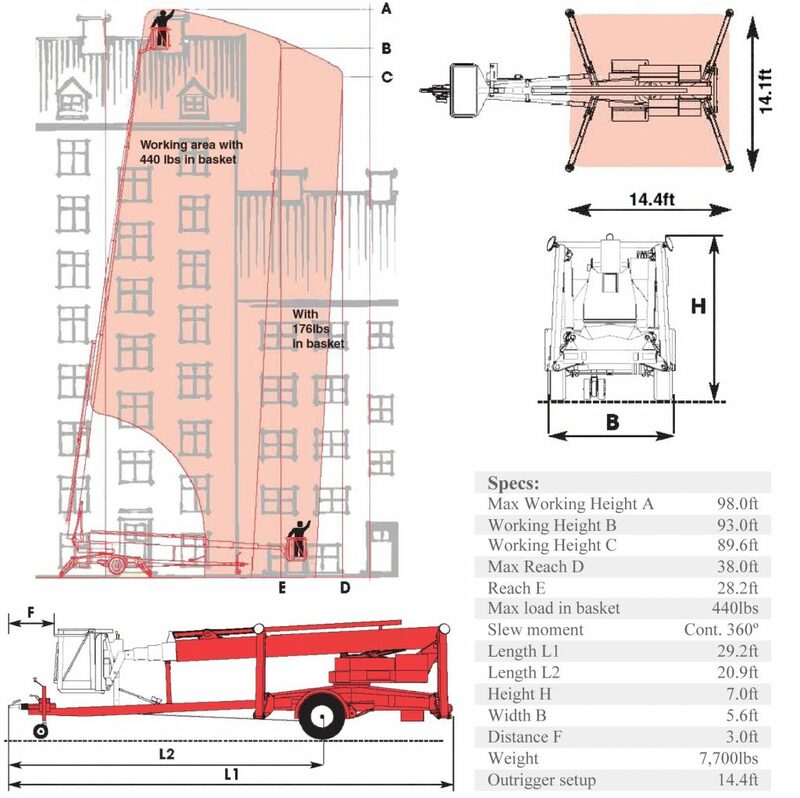 In Europe, however, the trailer lift concept is not limited to low work height, but has decades ago developed into taller units that offer the same safety and reach capabilities as conventional boom lifts, yet remain much more versatile, flexible and efficient. It features built in maneuver function (self-drive) which is operable from the basket so the lift can easily be driven over short distances. 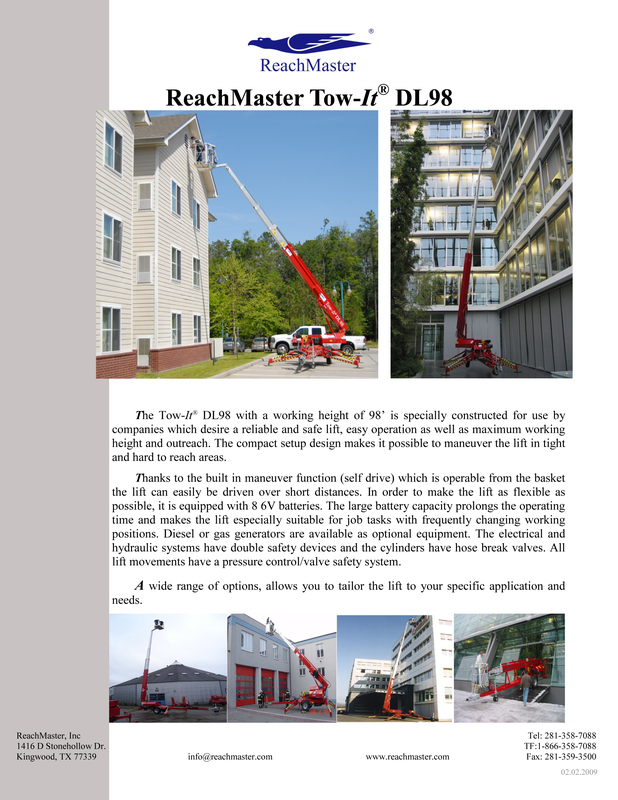 From subway stations to water treatment plants the DL98 Tow-It®is your solution when you need moderate work heights combined with limited space to maneuver equipment in. 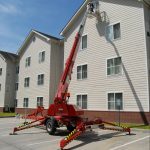 The Denka Lift is ideal for many exterior industrial applications when low surface pressure requirements or the need to set up on uneven ground occur. Having a Denka DL98 Tow-It in the tree care industry will give you advantages that very few other companies have. 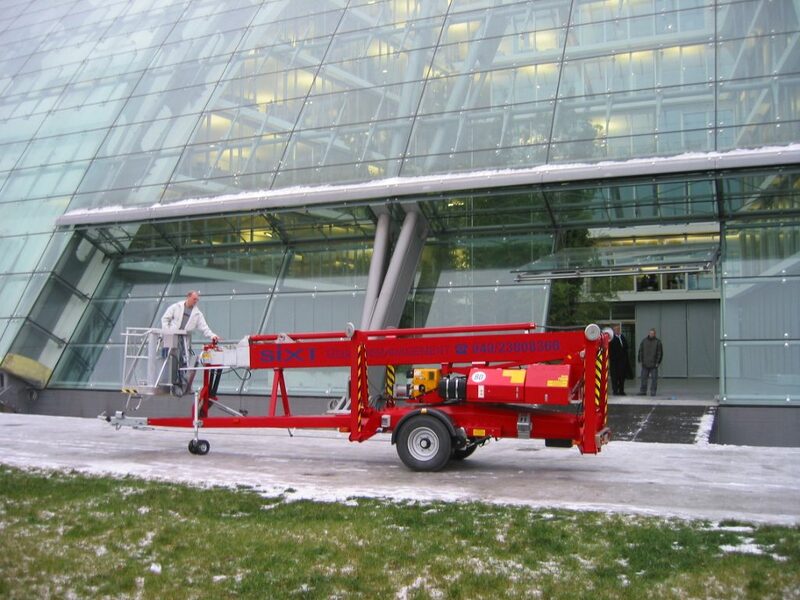 The Denka can replace bucket trucks and grow business opportunities as it can access areas through a single gate and set up around otherwise impossible areas such as: golf courses, walkways, courtyards, decks, pools, amusement park attractions, gardens and other areas with limited access or surface pressure concerns. 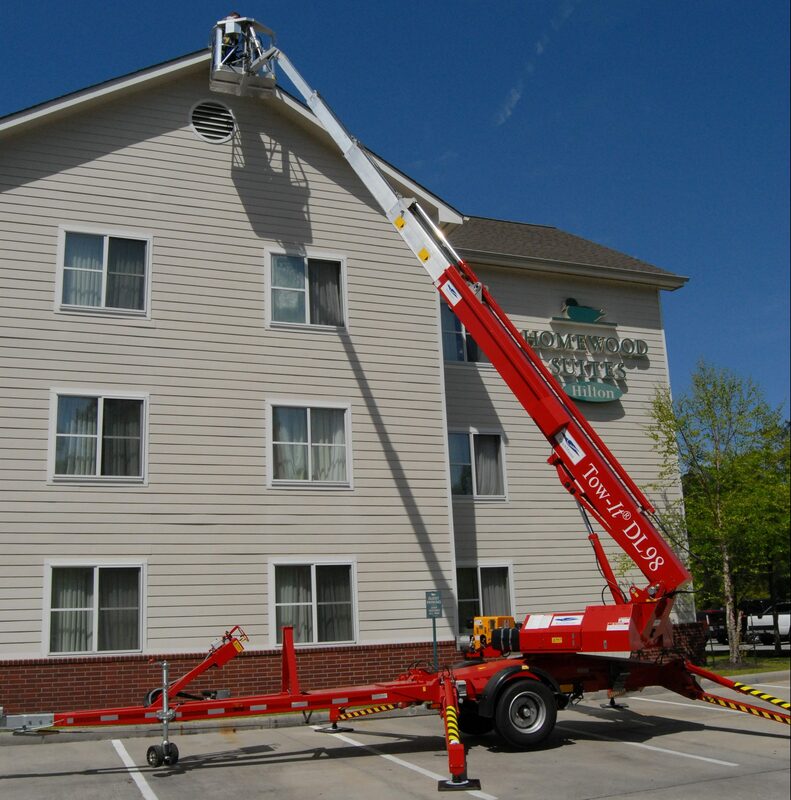 The DL98 Tow-It® is the perfect solution for exterior maintenance on buildings from changing light bulbs to hanging Christmas decorations and everything in between. Just tow it behind you, drop it off and go to work. It features built in maneuver function (self-drive) which is operable from the basket so the lift can easily be driven over short distances. 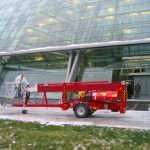 The Denka DL98 Tow-It is ideal for many different types of construction projects and is ideal to have in your rental fleet. Having a Denka enables you to offer your customers solutions in many types of compact situations. 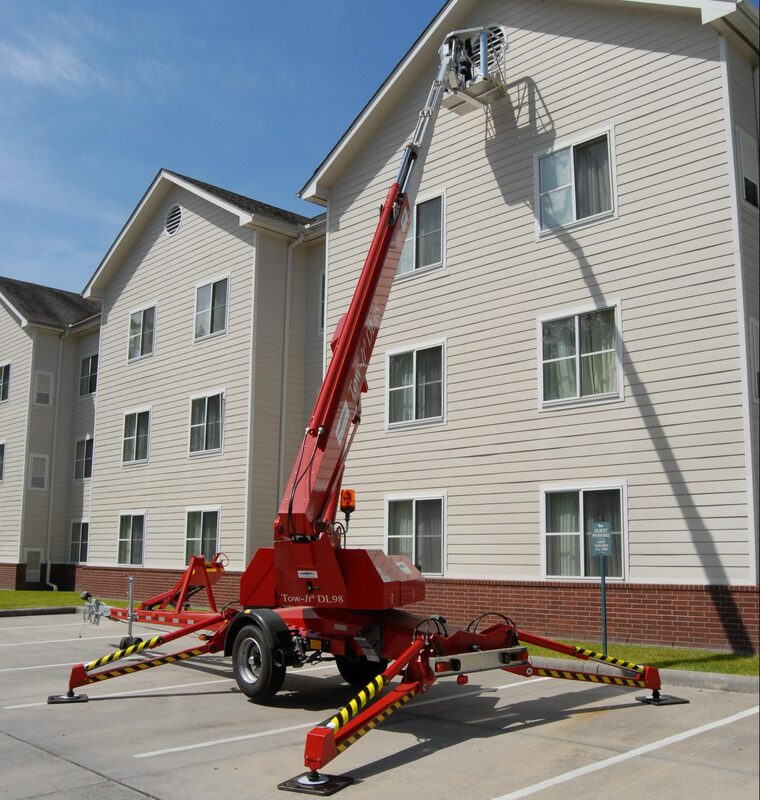 From installing light fixtures or HVAC components to doing repairs on a residential home, the Denka can reach considerable heights and is simple to use. 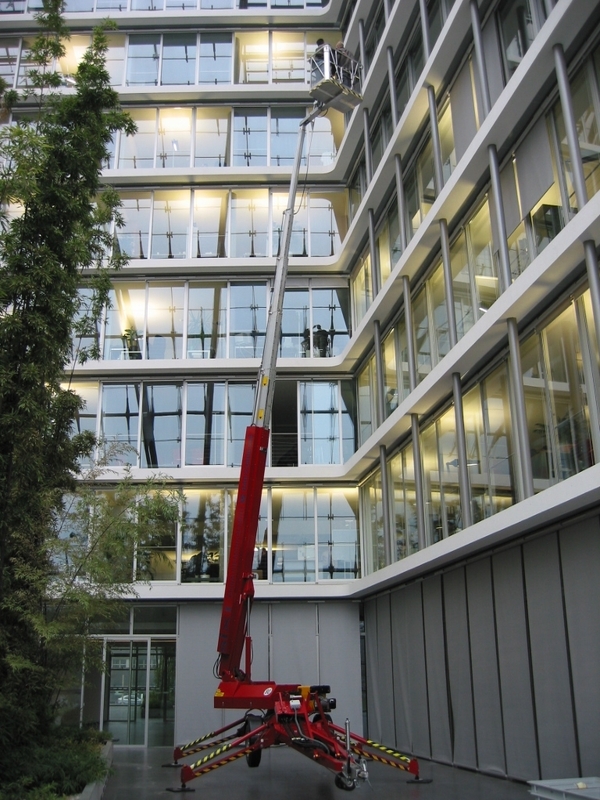 With standard features that allow the lift to pass through single door openings, travel and set up on virtually any surface and reach work heights between 72ft to 98ft, the DENKA has become the work horse for facilities around the world with moderate reach requirements and limited access.